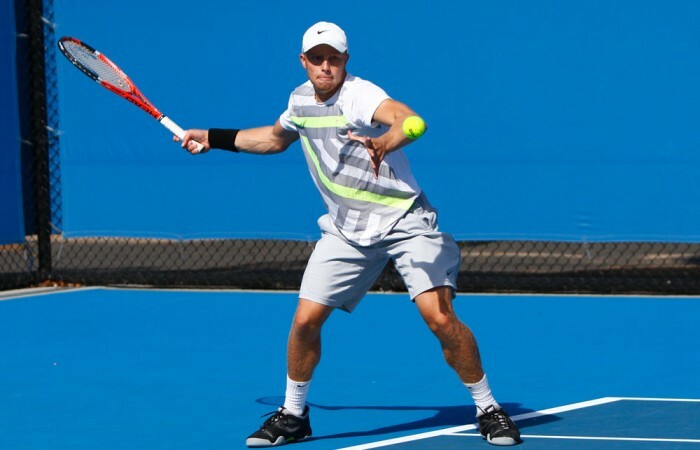 It was a day of easy wins in the quarterfinals of the boys’ Optus 18s Australian Championships with most of the matches ending within an hour in straight sets victories. 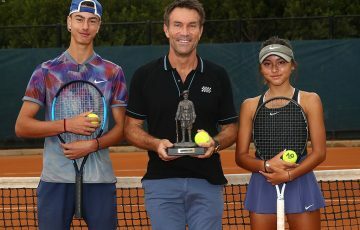 The only match to go to a third set was a feisty affair between last year’s Optus 18s semifinalist Sean Berman and New South Welshman Ben Wagland, in which both players were given code violations for ball abuse and Wagland was penalised a point for disputing the umpire’s call. 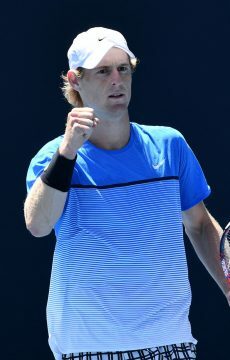 Berman was eventually the victor in the 4-6 7-6(6) 6-3 tussle that went over three hours – significantly longer than any of the other boys’ matches. Berman was erratic during the first set, with multiple backhand errors gifting Wagland the initial lead. 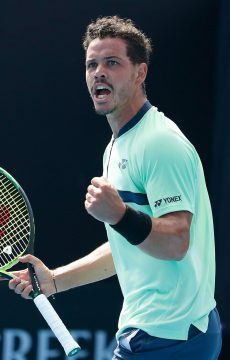 However, Berman’s aggressive style of play eventually unsettled his opponent, battling hard to take the tiebreak and winning the last set with an early break of serve. 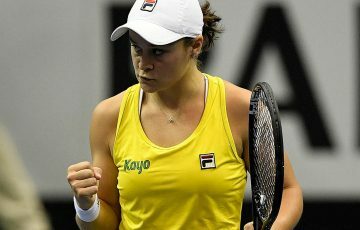 Both players were openly frustrated with the umpire and themselves, generally displaying their angst in their treatment of the balls. When questioned about the spirited nature of the match, Berman said it helped him recover his game. 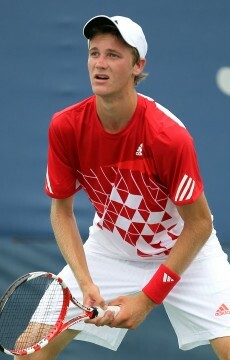 “There were a few bad line calls here and there and I started a bit slow so I knew I had to get myself going,” he said. 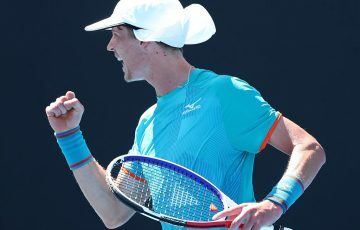 Berman will take on second-seed Maverick Banes in the semifinals, who outclassed 15-year-old Nicholas Kyrgios 6-2 6-4. 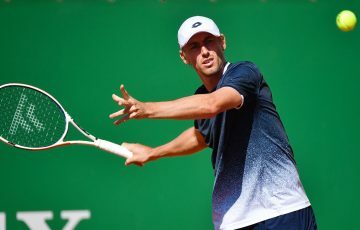 Kyrgios upset two seeds to get into the quarterfinals, but a high number of unforced errors and poor choice of shots let his older and more seasoned opponent run away with the match without much resistance. Banes’s serve set up the points, which were often completed by his potent forehand. The match should be an interesting one between the dogged Berman and the maverick Banes. 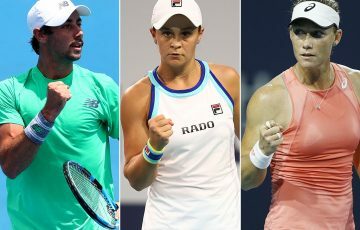 Banes’s forehand is firing and when given space can dictate terms from the baseline, however, Berman cannot be discounted due to his power, fighting spirit and experience. On the other half of the draw, number one seed James Duckworth was clinical, taking only 46 minutes to dismantle Andrew Whittington. 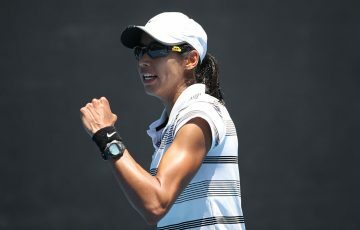 Duckworth, the Davis Cup orange boy, attacked the Whittington backhand and rarely looked troubled in the 6-3 6-3 win. 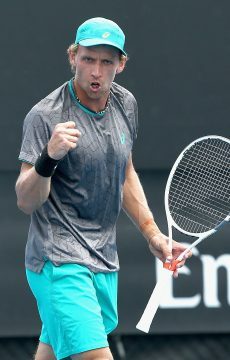 He will confront fifth seed Luke Saville in the semifinals, who overcame the higher ranked Alexander Bolt 7-5 6-0. Bolt, seeded fourth, raced away with an early break and looked poised to take the first set. 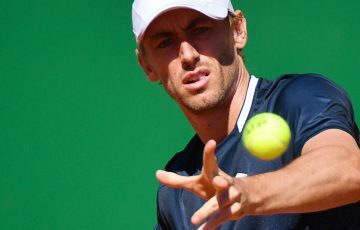 Saville regained his composure and fended off several more break points, stealing the set then taking absolute control of the match. His power from the back of the court was impressive, producing winners from both sides and sending a clear warning to his next opponent. 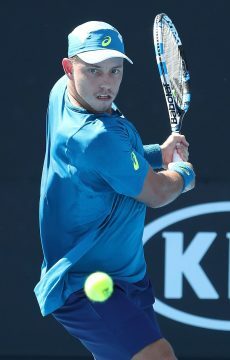 Duckworth has not lost a set in his four matches in the Optus 18s, however he has only played one seed and has barely been tested so it is hard to say how he will play against a quality player like Saville. Friday is semifinals day at Melbourne Park with matches beginning at 9:00 am as we race towards the exciting conclusion of the boys’ Optus 18s.